National - I Say Ding Dong Shop - Buy Stickers, Decals & Unique Automobilia. Lambretta National Stickers. 80mm or 120mm Pair. Mercury Messenger of the Gods Self Adhesive Handed Car Badges. 2" Pair. National Benzole Garland Round Stickers. 2.5" Pair. National Benzole Go Super Self Adhesive Sticker. 3.5" or 8". 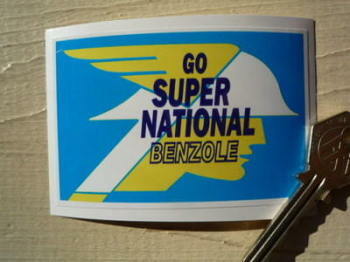 National Benzole Go Super Static Cling Sticker. 3.5". National Benzole Mercury 60's Style Window Sticker. 3". 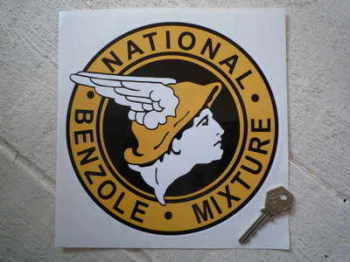 National Benzole Mercury Early Style Window Sticker. 3.5". 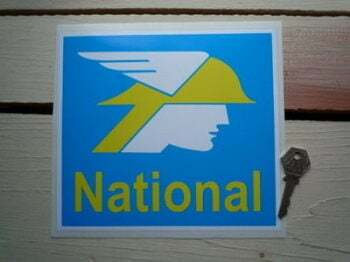 National Benzole Mercury Winged Helmet Rusty Style Stickers. 2.25" or 4" Handed Pair. National Benzole Mixture Black Text Oblong Sticker. 10.5". National Benzole Mixture Gold Text Oblong Sticker. 13". 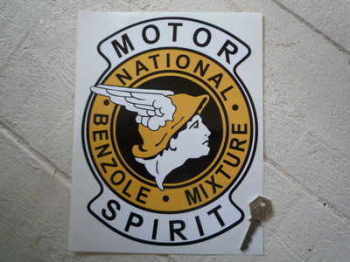 National Benzole Mixture Motor Spirit Art Banner. 19.5" x 27". National Benzole Mixture Motor Spirit Shaped Sticker. 7.5" or 10". National Benzole Mixture Round Handed Gloss Stickers. 2", 3", or 4" Pair. 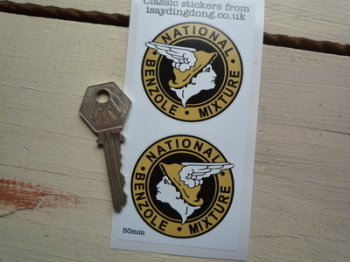 National Benzole Mixture Round Handed Matt Stickers. 2" Pair. 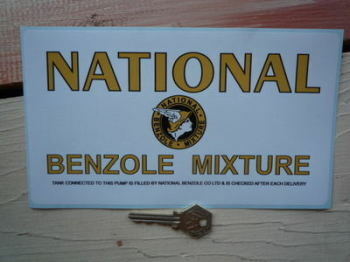 National Benzole Mixture Round Sticker. 11". 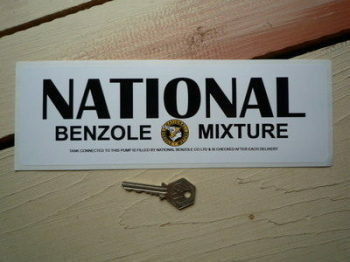 National Benzole Mixture Round Sticker. 6" or 8". National Benzole Mixture Round Stickers. 2", 3" or 4" Pair. National Benzole Mixture Tank & Pump Check Sticker. 8.75". 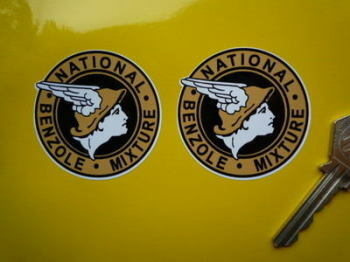 National Benzole NBC Lubricants Shaped Sticker. 8". National Benzole Round Stickers. 2.5" Pair. National Benzole Square Sticker. 12". 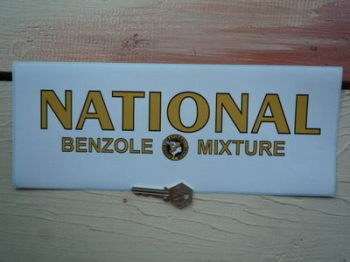 National Benzole Square Sticker. 8". National Benzole Square Stickers. 3.5" Pair. National Petrol Pump Style Large Sticker. 24". 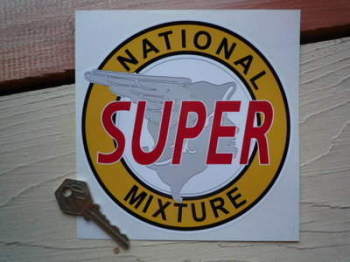 National Super Mixture Petrol Pump Sticker. 6".